Designed for the Briccole competition of the Italian company Riva 1920 and awarded with the first prize. 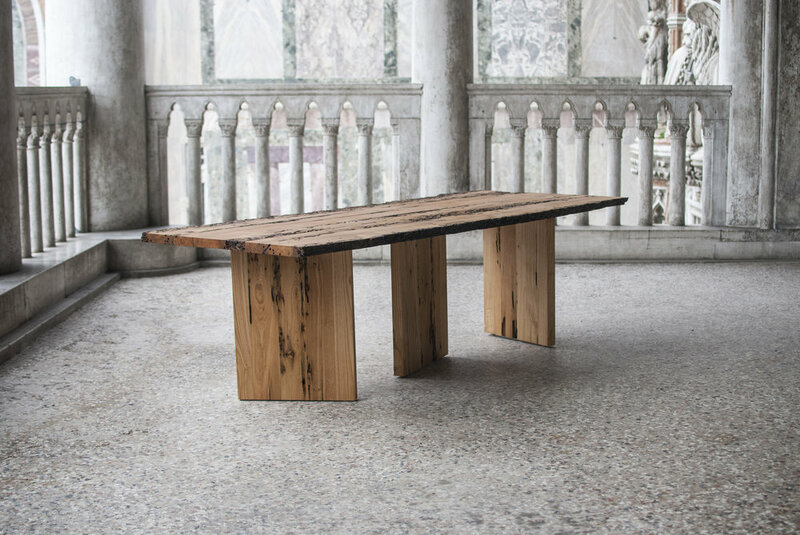 Laguna is a dinner table that reuses wood from the “bricole” (masts) of Venice. The table has three surfaces that are used as legs with diverse angles that give a dynamic a versatile aesthetic, just as the water in Venice.